MINNEAPOLIS — Aaron Hautala, of Brainerd-based advertising agency RedHouseMedia, recently spoke at the Minnesota Telecom Alliance’s annual convention in Minneapolis. Hautala led a session called “How to impact your 2016 marketing goals,” where he discussed using a combination of website analytics, search engine optimization and digital marketing best practices to create successful sales strategies and improved return on investment. The Minnesota Telecom Alliance advocates for more than 70 telecommunications companies in the state, serving as the members’ voice on regulatory and legislative issues. More than 500 representatives from telecommunications companies around Minnesota attended this year’s convention and tradeshow, including Tom Kohlbry, from Onvoy, a telecommunications technology company based in Plymouth. “Aaron provided compelling data to support the need for and illustrating the benefits of using these new tools to improve and measure marketing results in a much more cost effective manner than using traditional media,” he said. RedHouseMedia works with telecommunications companies including Consolidated Telephone Company and Emily Cooperative Telephone Company, along with several others throughout the Upper Midwest. 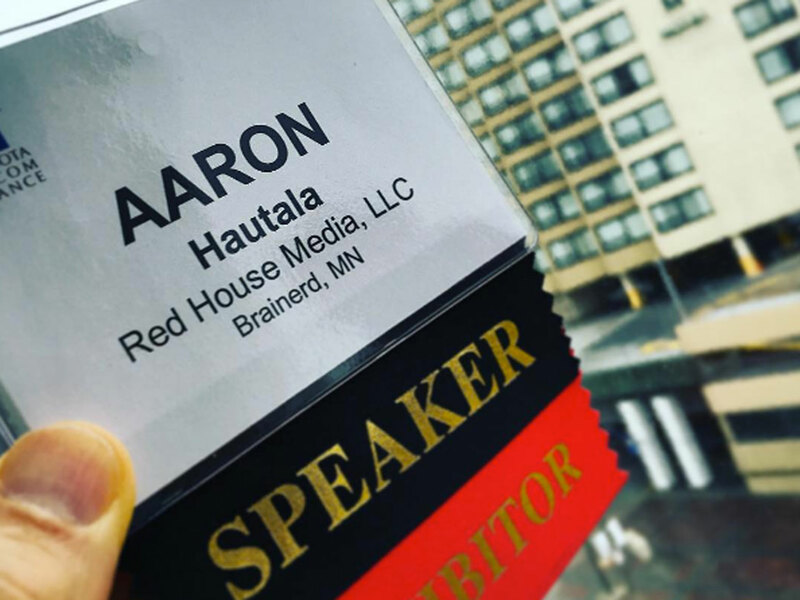 As owner and creative director of RedHouseMedia, Hautala frequently speaks on the topics of communication, identity and creative strategy at conferences for varying industries around the country. “Aaron provided compelling data to support the need for and illustrating the benefits of using these new tools to improve and measure marketing results in a much more cost effective manner than using traditional media,” Tom Kohlbry said.